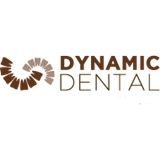 Dynamic Dental (Sacramento) - Book Appointment Online! I am was pleasantly surprised by the way I was treated by everyone there. I was made to feel comfortable and non judgemental. I truly enjoyed my experience there. I. would truly recommend this dentist to anyone.